Riveting, extreme, and everything that could possibly leave you satisfied that you chose to watch this particular thriller. Book to movie adaptations are not exactly new to Hollywood, but this one happens to complete and utterly compliment the book, in most, because it has taken every aspect of what made the book so great and mirrored it into the perfect movie. Book to movie adaptations have never been quite this good (yes, that includes Harry Potter, Twilight and even Drive). David Fincher has taken directing to a whole new level in this thriller, as he seems to have really harnessed his skills in this project. The ultimate intensity in every single scene is all a result of Fincher's ability to make audiences gasp in surprise at every moment another turn of events occurs. Fischer is known best for his thrillers, and there isn't a single director who could have been better suited to the part of directing this project, as it has all of the marks which would (and did) make it a 'Fincher' directed story to be brought to the big screen. Even with the unmatched talents of the director, a movie could not be made well without some pretty descent actors, and it is the acting in this movie which was part of the great big package of welcomed surprises. Ben Affleck wormed to his role as Nick Dunne, the lonesome husband with the missing wife, proving yet again that he isn't just a handsome face. Affleck's portrayal of Nick is near perfection which cannot be said often for actors playing roles, but because of Affleck's clear emotion and raw acting skill you really can sit there staring at the screen believing that Affleck is Nick. Nick Dunne is a relatable character, again, adding to the characters capacity to entertain and keep everyones' focus throughout the movie, being especially important as Affleck's character is in most scenes. However, the gem beneath the stone in this thriller, mystery is Rosamund Pike who plays Amy Dunne, Nick's wife who goes missing in the very early stage of the movie. Pike's portrayal of Amy is intriguingly fresh and twisted in all of the right ways, making her the fitting actress for the part. Pike, again, as with Affleck, plays her role as Amy with a realistic, emotional approach, which done by her was a shock and awe moment whenever the tables turned and things began to change right before your very eyes. It's worth remembering throughout the viewing of this movie that not everything is as it first seems. A thought provoking sentiment, just as the movie is all throughout. Fans of the "Gone Girl" book will be pleased to hear that the movie also had it's screenplay written by the "Gone Girl" (book) author, Gillian Flynn, who to no surprise made a great addition to the project, and who clearly wrote one of the best screenplays ever written for a thriller movie. Gillian Flynn has a talent for writing thriller, mysteries, which alone should leave good enough reason to see this movie, that shakes the thriller genre, adding something original and exciting to the ever growing pile. The storyline has the makings of genius handiwork, thanks to Gillian Flynn. It grabs you, then it grabs you some more, until before you know it there are a dozen invisible hands grabbing you, and you are unable to lose the tightened grip until the end credits begin to role. That is how good the storyline for the movie was, helped of course by the people doing their parts in the movie, but the storyline for the movie (based on the 'same' titled book) cannot be faulted, and trust me when I say that I have tried. The story feels so original, which could be said for a lot of movies, or could it? As thinking about it, most typical movies tend to use a rehashed formula from movies done in the past which have proven to be commercially viable and successful, and at times this is even the case with book to movie adaptations. Although, this is far from the case with "Gone Girl", as this is not just another psychological, mystery, thriller, but an entirely new (in all forms) thriller, which has no problems in leaving audiences gasping and returning for more. The movie, start to finish, leaves you speculating in your head (or, and you'll know if this is you... out loud) over what might happen next, and even right up until the end when all of the answers have been told, there is still speculation going on in your head (or, out loud) over what could possibly happen next. 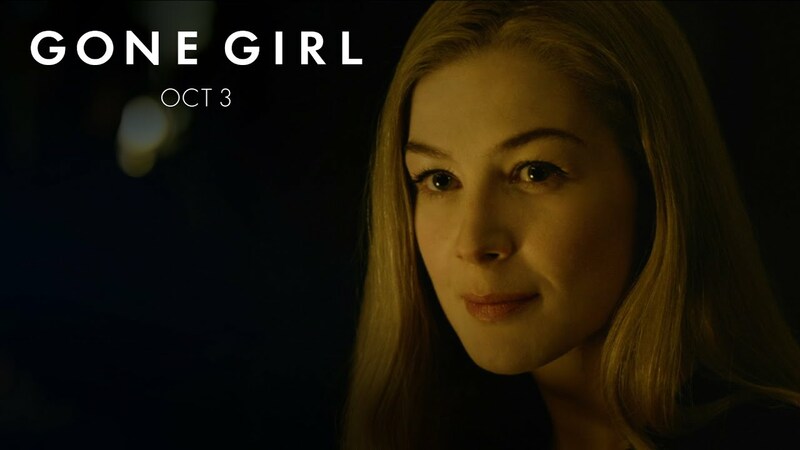 When a movie is as thought provoking as "Gone Girl" you know you're going to want to watch it again, giving it further reason to be deserving of your undivided attention as it has all of the makings of becoming your next favourite thriller movie sat on the shelf among your DVD collection. The movie quite literally has no errors, which sounds odd (I know), but this all makes sense when watching the movie, as our minds are naturally seeking to judge everything, and movies take the rather blunt end of the stick (myself, being the same), and this truthfully is a flawless movie, turning judgemental eyes into soft candy. Thank you for reading. This is the first film review written for "AusgustusWorth", and I hope you have enjoyed reading and now have a thirst to watch "Gone Girl". Have you seen the "Gone Girl" movie? Have you read the "Gone Girl" book? Have you done both, and if so, how did you find they compared? Let us know in the comments box below.